Do you have GLUTEAL AMNESIA? | Coach Billy. Do you have GLUTEAL AMNESIA? It may be an unfamiliar and unheard-of-term, but common injuries like Patella-femoral Pain syndrome, Illiotibial Band syndrome, Low back pains, and Piriformis syndromes may all be caused by this less known condition: Gluteal Amnesia. This occurs when your body ‘forgets’ how to properly engage the Gluteal muscles – the biggest and strongest muscle group of our bodies. Even the most elite athlete can experience this if their glutes aren’t trained to fire properly, or the muscle group is neglected and weak. 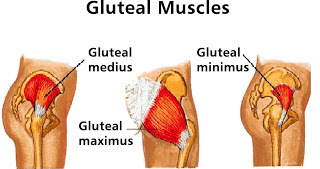 Our daily activities today doesn’t really encourage proper gluteal activation: If you’ve been sitting for long periods at work or at school, your gluteal muscles are probably ‘trained’ to be apathetic. Sitting (at work, driving, watching tv, computer, etc) tightens the hip flexors, and that tightness restrains the glutes. 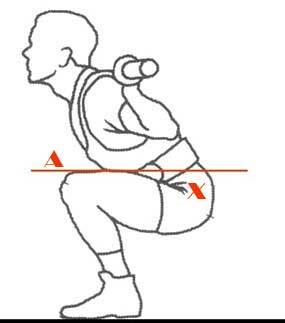 Standing for long periods of time also diminishes gluteal activation by compensating with the quadriceps and hamstrings for stability. 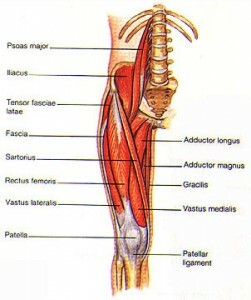 (Front view) The anterior leg muscles and hip flexors, which antagonizes the gluteals. The Gluteal Muscles – maximus, medius, and minimus – is the powerhouse that generates propulsion (ie, pushes your body forward when walking, running, jumping forward) and is a major key in helping prevent common injuries. *If you sit for long hours every day, let your hip flexors breathe. Stand up – and even walk around, if you can – once in a while (at least every hour or less) to stretch and mobilize those tight muscles. *When you’re standing for long periods of time, make sure that you achieve a ‘neutral pelvis‘ and engage your core muscles. Remember the draw-in maneuver: tuck your tail bone in and draw your belly button to your spine. Squeeze your buttocks together and don’t let your quads and hams do all the work. *Proper posture plays a big role in gluteal activation. Your spine is connected to your hips which is where your glutes originate. Keep your hips square (neutral pelvis) then lengthen your spine from the hips, keeping your trunk erect whether you’re sitting or standing. Slouching affects your lowback and hip placement, which then keeps your gluteals from firing properly. Also when sitting, make sure your knees are aligned with your hips (ie, your computer chair or car seat should not be too high or too low). *Regularly stretch your quadriceps, hip flexors, and low back. Take the time to loosen up those muscles when you feel like you’ve been sitting or standing for too long. When you’re working out doing lunges and squats, make sure you really drop your hips and bring your thighs parallel to the floor (keep your knees above your ankles, trunk erect). This position will really force your powerhouse to work! For any activity that you’ll do, don’t let your thighs and lowback do the work. Compensation by the quadriceps and hamstrings inhibits gluteal activation. You’ll also lessen the stress from your lowback if you fire up your glutes.